Professor Tomohiro Inagaki of Hiroshima University (Japan) will be carrying out his research as a member of the Laboratory of Theoretical Cosmology. A prominent cosmology researcher, Professor Inagaki will take the position of a Senior Research Officer at the TUSUR Laboratory of Theoretical Cosmology. 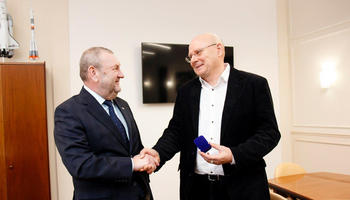 He accepted the invitation to join the TUSUR team at his meeting with the Vice-Rector for Research and Innovation Viktor Rulevskiy and the Head of the Division of International Cooperation Gennady Kobzev. The International Laboratory studies the evolution of the Universe through various theoretical models, including dark energy and dark matter models, with laboratory researchers publishing their papers in some of the world’s leading research journals. 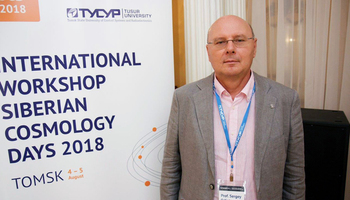 The Laboratory is headed by Professor Sergey Odintsov, Doctor of Physics and Mathematics and author of several hundreds of papers on the theory of gravitation, mathematical physics and cosmology. 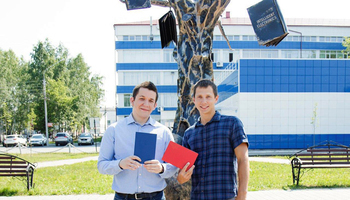 Professor Odintsov and Professor Inagaki have co-authored several joint papers. 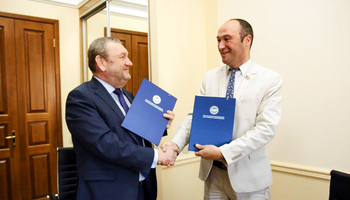 Collaboration with the leading international researcher will further strengthen the research output of the Laboratory, boost its publication activity and citations of its papers, and will drive cooperation between TUSUR University and Hiroshima University. Professor Inagaki has reaffirmed his University’s interest in cooperation in the areas of cosmology, IT, computer science and telecommunications both through joint research and through academic programs. Hiroshima University offers graduate and postgraduate programs and carries out research through 36 affiliated research institutions.